Hard drives hold a lot of information and they need to be destroyed when they are no longer needed. A1 DATASHRED provides certified hard drive shredding services to Boston that guarantees the information on your hard drives will never be accessible again. A single hard drive can contain millions of pages of confidential information. When hard drives reach the end of their life cycle it is important to make sure that the confidential information on them is destroyed. Formatting or degaussing hard drives, tapes, and other magnetic media is not enough. This practice does not guarantee that all of the information has been destroyed. The only way to make sure the information can never be accessed again is to physically destroy each hard drive. We’ll come directly to your location. Your hard drives are shredded before we leave your home or office. On-site hard drive shredding is very secure because you have the option to see the destruction of each hard drive as it occurs. When you don’t have the time or space to have your hard drives destroyed at your site we can securely take them to our secure facility to shred your hard drives. Your hard drives will be protected for the trip back to our facility in sealed containers and a locked truck. Your hard drives will be destroyed soon after arriving at our facility and we will provide you with a certificate of destruction that will list each hard drive by serial number. The only way to protect your confidential data on a hard drive from the dangers of identity theft is to physically destroy them.  When it is time to destroy them your best option is to rely on the trusted and certified data shredding professionals at A1 DATASHRED. We arrive at your location. You show us the hard drives you want destroyed. We record the serial number of each individual hard drive. Each hard drive is physically destroyed. The hard drive is shredded into many pieces. The Information on the hard drive can no longer be accessed. The remains of your hard drive are recycled. We provide a Certificate of Destruction that lists each hard drive by serial number. 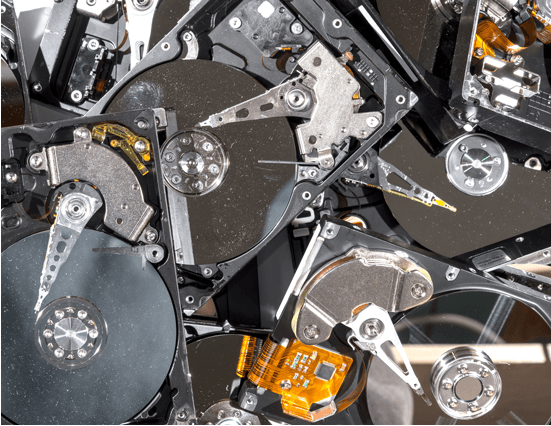 What happens to your shredded hard drives? Your hard drives are recycled. The destroyed hard drives are taken to a certified recycler where the pieces of the hard drive are separated by material such as metals, glass, ceramics and plastics and all the components of your shredded hard drive are recycled to make other products.